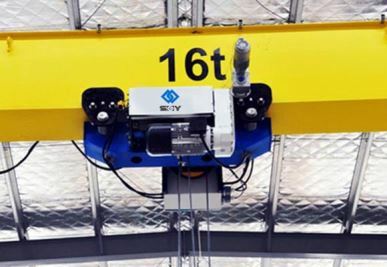 Low Headroom Single Girder Overhead Crane is composed of girder weld by steel plate and I-steel, end girder, electric hoist and travelling mechanism. The electric hoist runs along the lower flange of the I-steel of the girder to accomplish article hoisting. 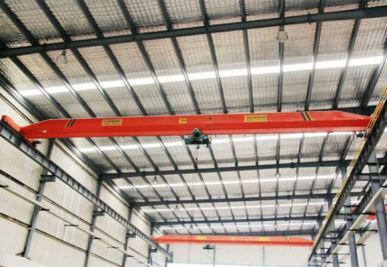 It features light structure and easy installation and maintenance, and is widely used for different places for hoisting, such as factories, warehouses and material yards. It is prohibited to use in the environment with inflammable, explosive and corrosive media. 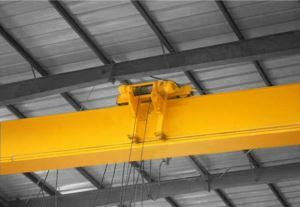 Low Headroom Single Girder Overhead Crane is designed for low headroom workshop. The difference between them is the way of electric hoist running. 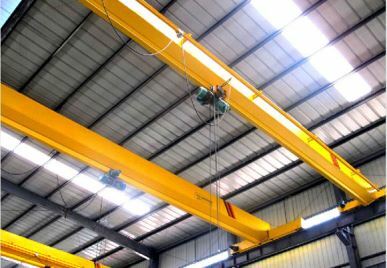 The electric hoist of Low Headroom Single Girder Overhead Crane is running at the bottom flange plate of girder and the electric of Single Girder Overhead Crane is running at one side of the girder, which increase the work space of the hook and reduces the workshop height and cost. 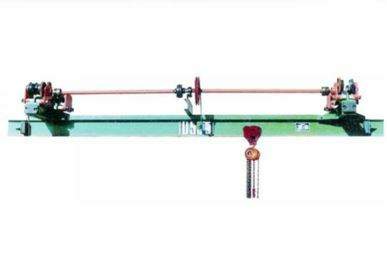 If your workshop is narrow or not high enough, choose this kind of crane!